O-T Fagbenle will act against Scarlett Johansson in a leading role for Marvel’s Black Widow. 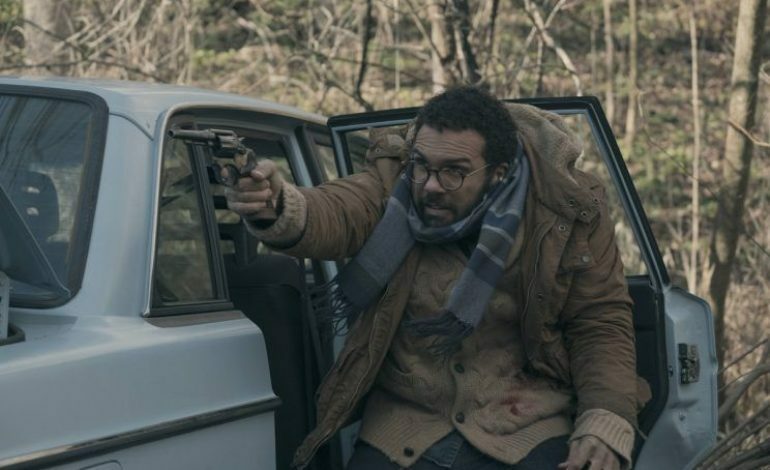 Fagbenle will join David Harbour, Florence Pugh, and Rachel Weisz in the film’s growing cast. Cate Shortland will direct from Ned Benson’s rewrite of a script by Jac Schaeffer. Fagbenle stars in Hulu’s landmark drama series, The Handmaid’s Tale. The actor won the hearts of fans playing Offred’s (Elisabeth Moss) husband before the formation of the oppressive Republic of Gilead. While Fagbenle was not integral to the show’s first season, the actor impressed critics and audiences in the later episodes of the Emmy winning drama. Black Widow will follow the origin story of the KGB spy and eventual double agent, Natasha Romanoff (aka Black Widow), in her journey working for S.H.I.E.L.D. and the Avengers. Specific plot details for the spy/superhero film are being kept undercover. While this will be her first standalone film, fans are already familiar with Johansson’s Black Widow. Natasha Romanoff was introduced to audiences in Iron Man 2 (2010) and was solidified as a leading MCU character in Joss Whedon’s The Avengers (2012). While Marvel has not announced an official release date for Black Widow, it is speculated that the film will be a part of Marvel’s anticipated 2020 lineup. This news was originally reported by Deadline.